Special Spring Package for wedding PhotographerS! It’s the planning season and couples are looking for wedding pros like you! We’ll make you and your portfolio shine! So you can attract your dream clients ! If you already have a website wich hosting platform are you currently using? Is there a page or section you want to disable from the Template? for example: I don't need: the Investment Page and the Testimonials section. Choose which Squarespace Template (Mill Valley or Larkspur) and wich Logo from our spring flower collection you like and hit the Button “ BOOK NOW!” below! We will find together a Date to start your new Website. To block out your design time-line on our calendar, we ask you pay a 50% retainer and sign a contract. You will be given some homework to have completed prior to the start of your project. If you already have a website which hosting platform are you currently using? Now it’s our time to create some magic! We will do Design implementation with your images, copy and graphics. We help you to create a Squarespace Account, you must now pay with a credit card for your Squarespace Hosting fee (between $144 $216/year). After that we can connect your Domain and set your Homepage live! YEAH ! You will receive an easy step-by-step video tutorial how to maintain your website. one logo from our flower spring collection for free! Squarespace, WordPress, Wix ... ? Squarespace is an online program to build websites and a hosting platform. We work with and love Squarespace. This platform is 100% customizable and allow you to update/edit your content easily and quickly. They offer a few billing plans. Visit Pricing page for more details or Learn more about them here. How long will it take till I get my Website? It will take us about 1 Week to build your new website, starting from the date which we agreed on our contract. CAN I LATER MAINTAIN OR ADD OBJECTS TO MY WEBSITE? Yes! IT’S SIMPLE & EASY TO MAINTAIN. A beautiful website isn’t very useful if it’s not updated and maintained to meet its purpose: telling your story, showcasing your work, helping customers to contact you. We teach you the ropes about how to use your site. 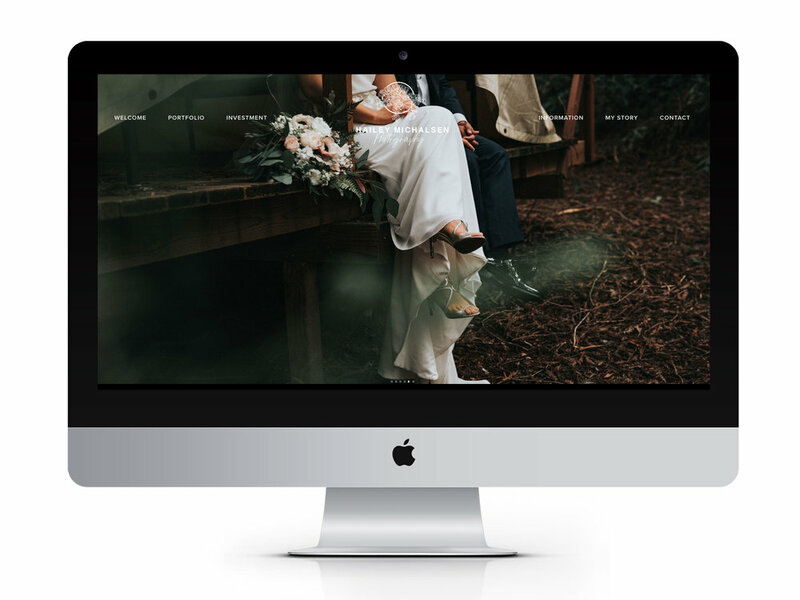 Squarespace uses a drag-and-drop editing interface in which you can make simple updates without requiring a web designer to break into any heavy duty code. This makes it quick and easy to write blog posts, add new photos to galleries, update information, etc. WILL I NEED A DOMAIN? Yes, you can buy your Domain at Squarespace or from a third provider. We think it’s worth to purchase your domain through Squarespace and have it managed there. The first (1st) year is free. i already have a logo and want to keep it. No problem. The spring flower logo collection is optional. Please send us your current logo in a good quality ( we prefer eps. File) so we can install it into your new website. I already have a Homepage on another Platform (for example WordPress) can I move my current Site to Squarespace? If you already own a domain - We can transfer or connect your domain to Squarespace. If you already have a website - If you have a site with WordPress, Tumblr, or Blogger, we can import your blog content to Squarespace. I already have a Website on Squarespace, will I lose my content during the work process? I don’t really like the Templates, can I have a more personalized Web Design? No problem! Please contact us and we can send over a proposal.